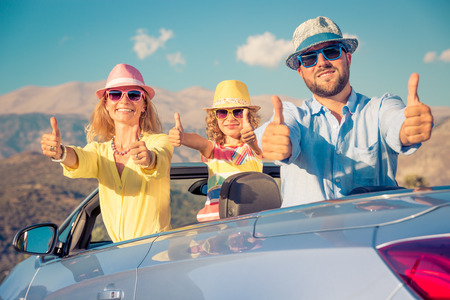 Happy family travel by car. People having fun in the mountains. Father, mother and child on summer vacation.